The sustainable paperwood alternative to MDF. 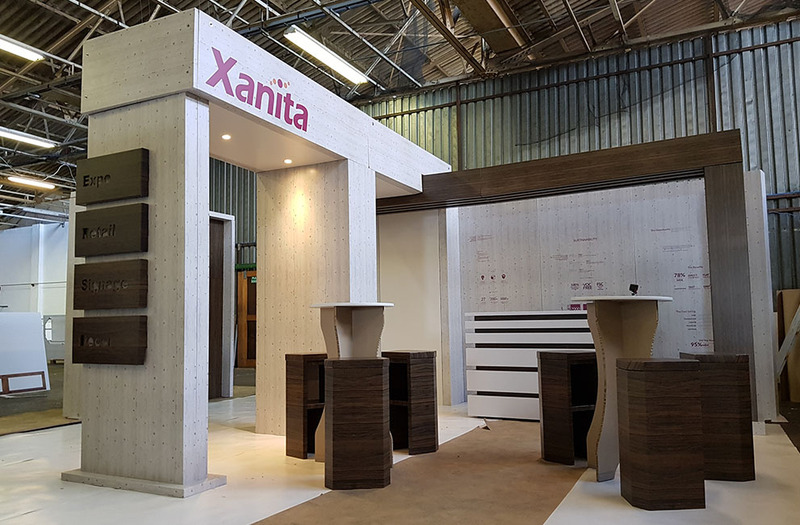 Xanita allows the product to be environmentally-friendly, lightweight, strong and suitable for a wide range of decorative and structural applications including POS, shop-fit and exhibition design. • The Xanita Training Academy- A free online training resource which provides the foundation of how to work with Xanita board. • The CNC cut-file store- An e-commerce store with an extensive library of popular designs to help get printers up and running quickly and easily. Printers are also entitled to request a maximum of five free cut-files from the store once they have purchased a pallet of Xanita board or more. • Xanita design support- For printers that do not have industrial or packaging design capabilities, Xanita provides comprehensive design assistance for a nominal fee. Visit www.xanita.com for more information.